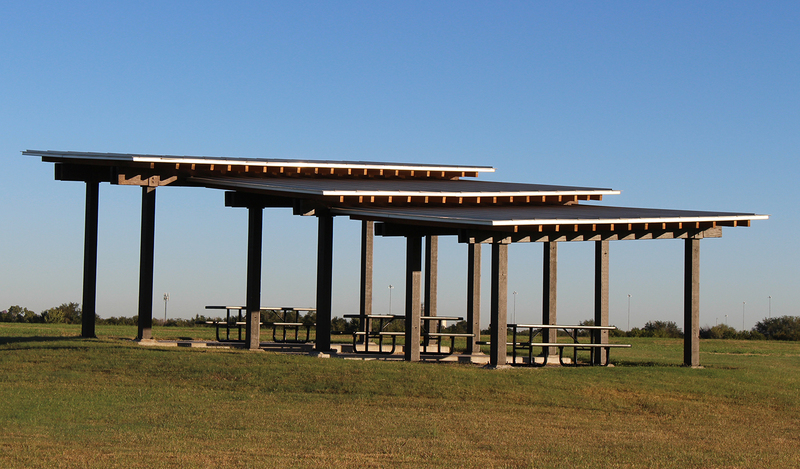 Located on the closed Chapin Landfill, Chapin Park’s approximately 172 acres is the City of Wichita’s newest regional park. The park is located in the south portion of the city along the banks of the Arkansas River. 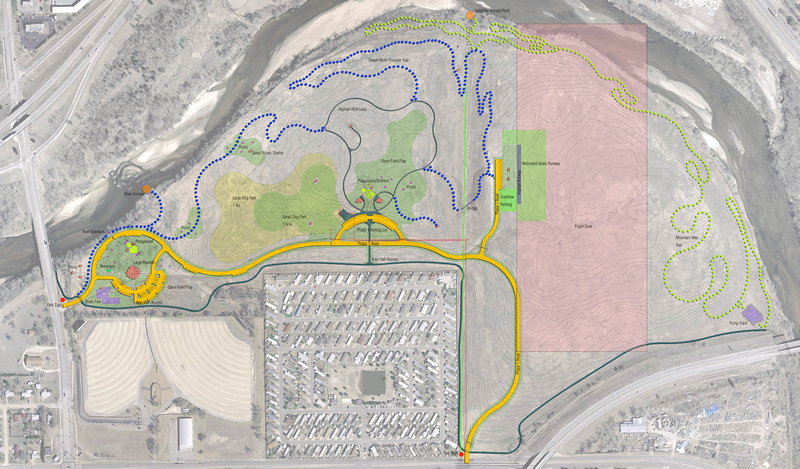 The site’s history as a landfill created a unique design challenge along with opportunities. 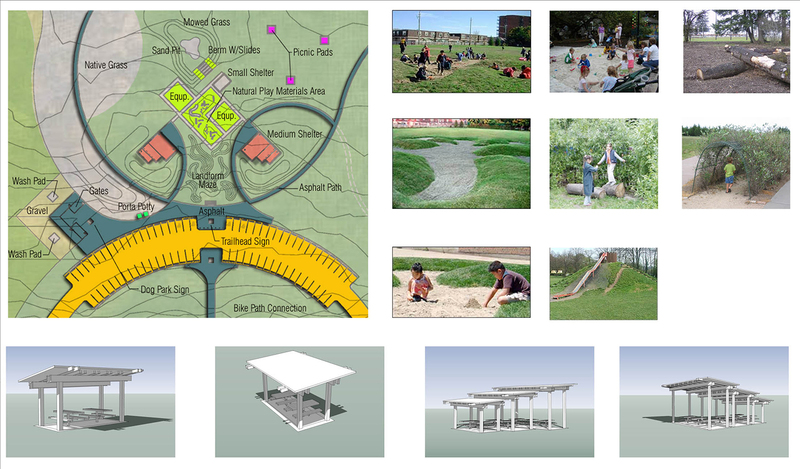 LK reviewed the original needs assessment for the park and proceeded with master planning of this large property. The elevated hills, or cells, were void of trees and seen as an asset with expansive vistas over the property and the city. 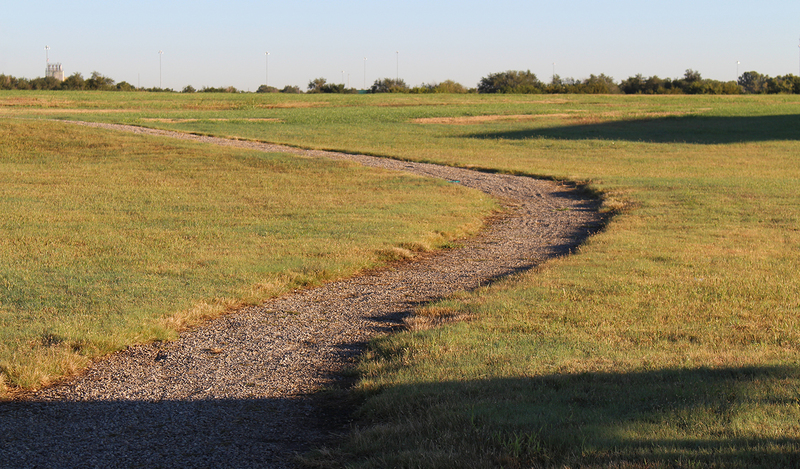 The park, envisioned as an escape from the urban and suburban, draws inspiration from the Flint Hills and native prairie. Through design, the most pervasive issue was the potential of ground settlement and methane gas venting. The new roadway and parking lots were designed with a thin pavement section over increased rock base and geotextile which act as a bridge disapating loading and minimizing settlement. The thin section of flexible pavement was used to move with minor deflections and be cheaply modified if issues arise. 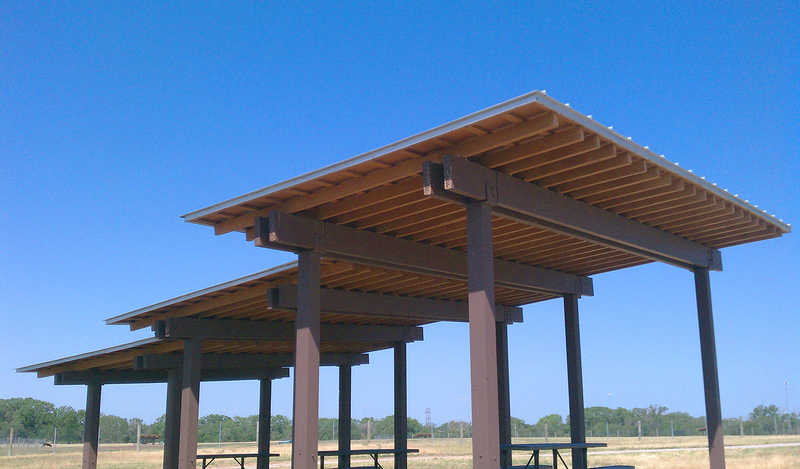 A family of shelters were designed to give a visual identity to the park. Shelters in three sizes were designed to “float” on the ground without foundations. This same vernacular was used for the restroom shelters, sign kiosk and dog shelters in the city’s first off-leash dog park. These structures were designed to be modular in design and can be utilized in different configurations creating small or large shelters. Long term improvements include continuation of the roadway to link to Broadway, a full-service restroom facility, additional parking, large shelter and skate park.